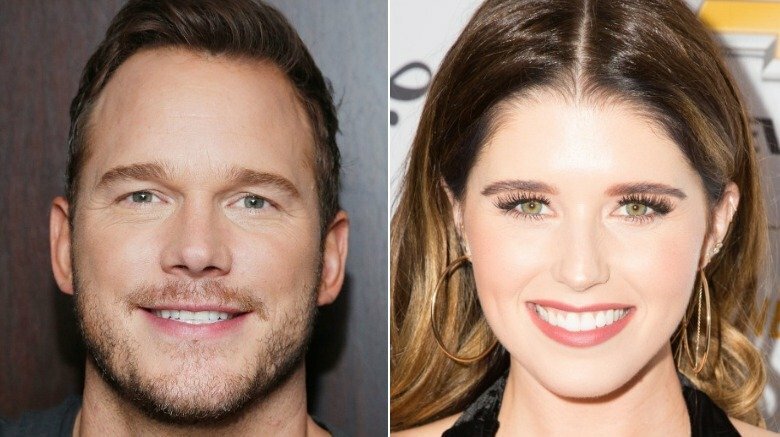 Are Chris Pratt and Katherine Schwarzenegger together? According to an Entertainment Tonight exclusive, published on Monday, July 2, 2018, the Avengers: Infinity War star and Arnold Schwarzenegger and Maria Shriver's daughter are "casually dating" following Pratt's divorce from Anna Faris. "Katherine and Chris have been on a few dates," a source told the publication, alleging that they "hit it off" recently after meeting through Shriver. "The two really enjoy their time together, but it's still in the early stages." The rumored pairing, who were first spotted together while picnicking in Santa Barbara, Calif. in mid-June, seem to be taking things slow. The insider added, "[Chris is] in no rush for a relationship." As Nicki Swift previously reported, Pratt, 39, and Faris, 41, announced their separation after eight years of marriage in August 2017. "Anna and I are sad to announce we are legally separating," the two wrote in a joint statement on social media at the time. "We tried hard for a long time, and we're really disappointed. Our son has two parents who love him very much and for his sake we want to keep this situation as private as possible moving forward." That December, the amicable exes filed for divorce at the same time, citing irreconcilable differences. They are both seeking joint custody of their 5-year-old son Jack. While the Parks and Recreation alum seems to be moving on, Faris is reportedly dating cinematographer Michael Barrett. However, as emphasized in several interviews over the last year, the former couple's main focus is successfully co-parenting their son amid their split. "He's surrounded by so much love," the Mom star told E! News earlier this year. "We constantly reinforce what a great kid he is." "We had an unbelievable marriage and we have a great friendship now," Faris later said on Dax Shepard's podcast, Armchair Expert, while discussing her current relationship with Pratt. "And we love our son to death, and I'm really proud of that."